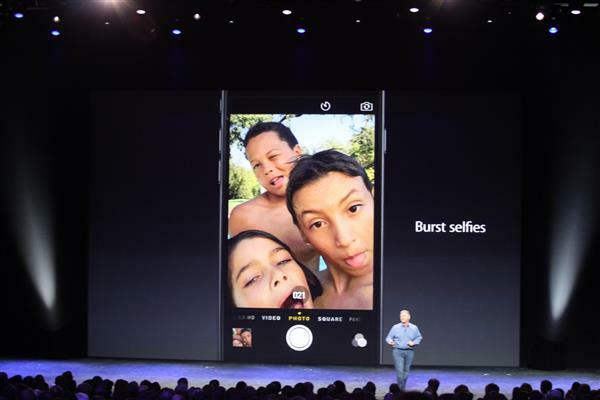 Schiller: "But equal or better better life than iPhone 5. iPhone 6 Plus even better." 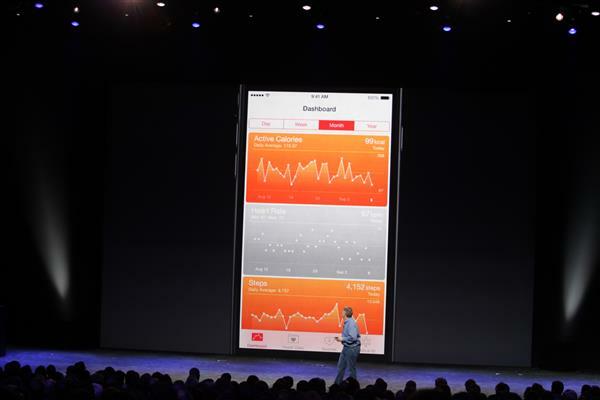 Schiller: "Also a new motion coprocessor, the M8. Really important for fitness apps. It can tell if you're cycling, walking, running. And it can now estimate distance." The iPhone has a BAROMETER built in, for measuring altitude through air pressure. Jeez. Does Weather.com know about this? 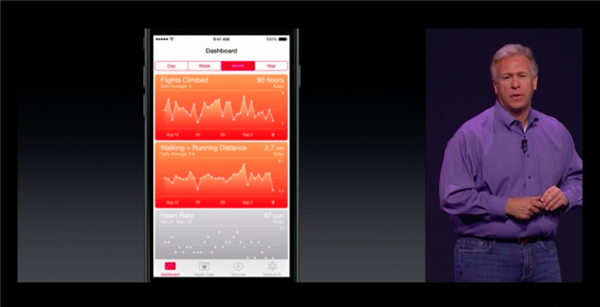 Schiller: "And for the first time, it gives you credit for elevation as well, like stairs. There's a new sensor... a barometer." Schiller is back. "So, larger display, thinner design, better performance..."
Schiller: "Nike is working on a new version of the running app." Schiller: "And more. New wireless capability. LTE up to 150 Mbps, using technology called carrier aggregation." Works with over 200 LTE carriers. Your smartphone might be showing you “LTE” in the status indicator to tell you that you’re on your carrier’s high-speed data network, but did you know that as soon as you place a standard phone call, your phone switches to the previous generation cellular network? 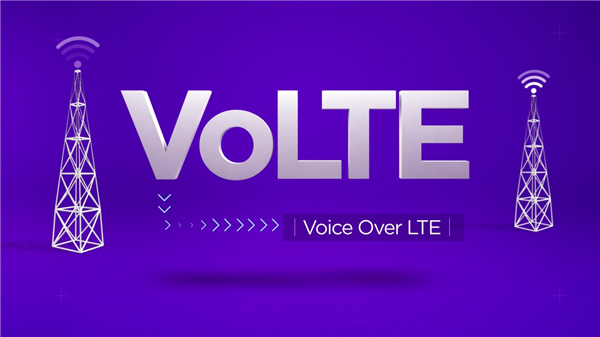 A new mobile voice system, called VoLTE — Voice over LTE — will start to send your voice over the same modern data network that your Web pages and apps are going over. 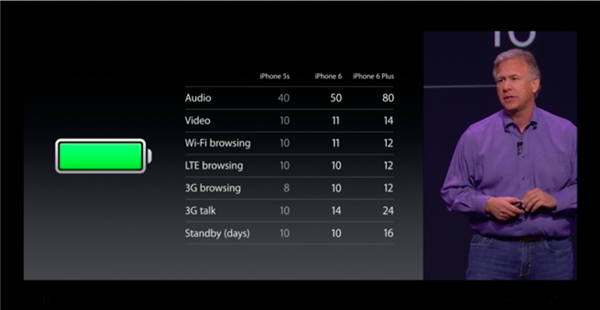 Schiller: 3x faster WiFi, too. And now you can make calls over WiFi. And when you move from wireless network to cellular, the call will seamlessly hand off. 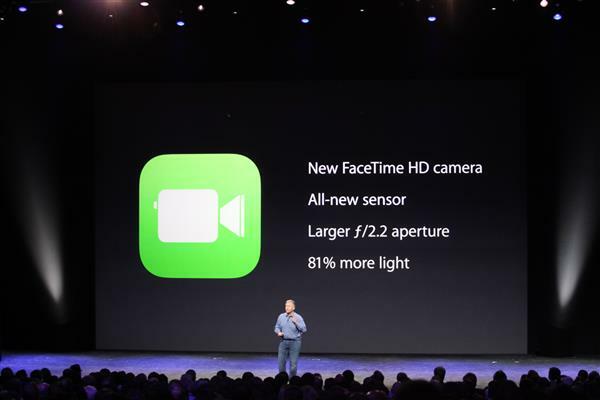 Schiller: "There are great new cameras." 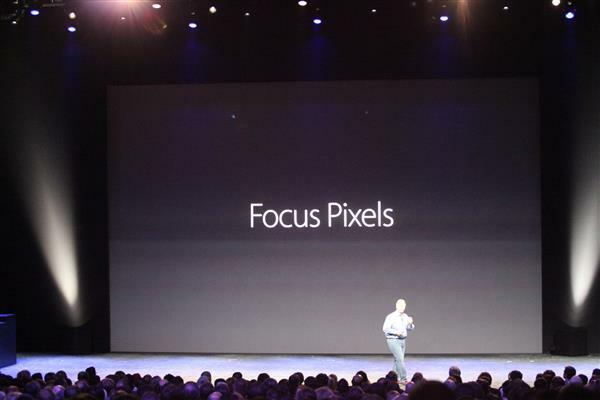 New 8MP camera, True Tone flash, 1.5 micron pixels (big - good). The unsung new feature of the iPhone 6's rounded design: You'll be able to tell the front from the back, in your pocket, for the first time since the iPhone 3 family. "These are the best phones ever made. The best we know how to make." 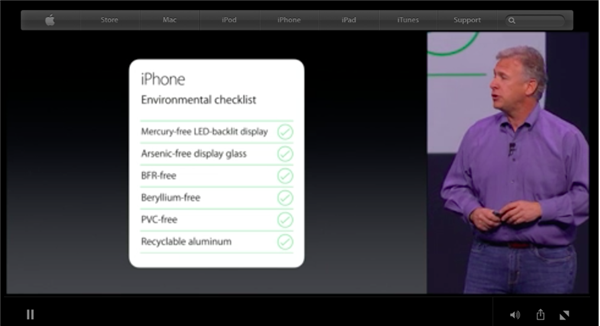 And made in the most environmentally friendly phones made. Now without Beryllium. 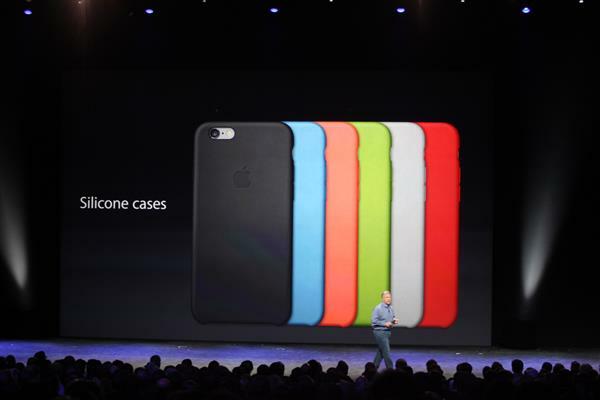 There are new cases, including product read and leather cases. 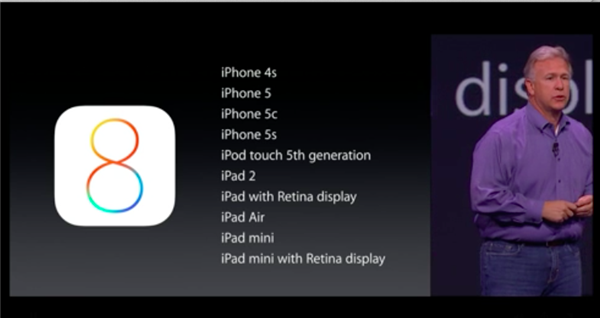 iPhone 6 comes in gold, silver, and space gray. 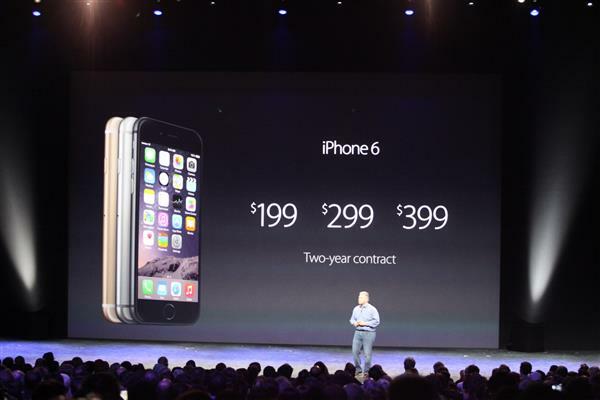 iPhone 6 prices: $200 (16gb), $300 (64gb storage), and $400 (128gb) for the new, bigger iPhone 6 (with contract). 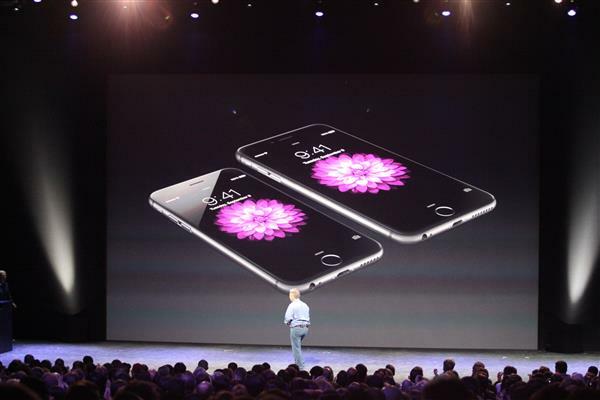 iPhone 6+ comes in gold, silver, and space gray. Availability: September 19 in US and 8 other countries. They're trying to reach 115 countries by the end of the year. 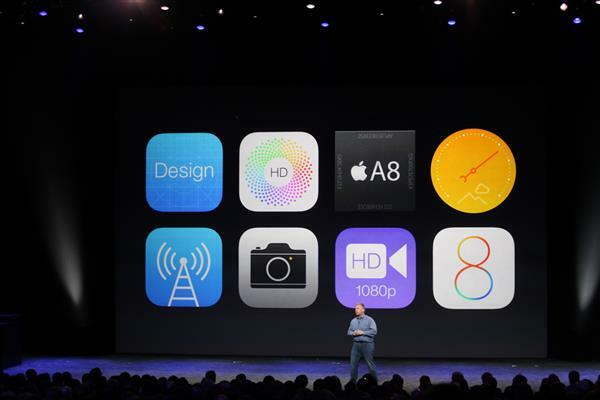 You can download iOS 8 for free on September 17th. 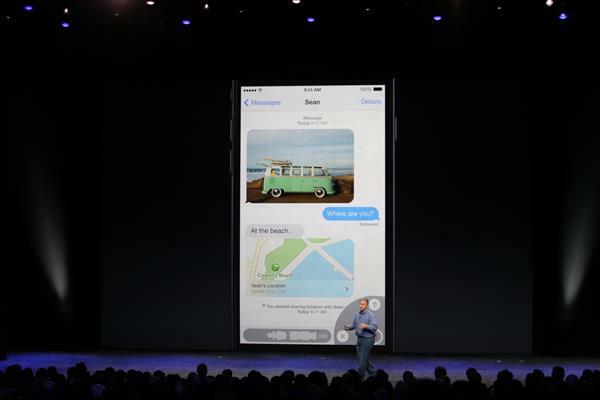 iOS 8 will be free to download on 9/18, with the new iPhones on 9/19. Cook is back on stage. "A great product isn't just a collection of features... It's how it makes you feel." Here's a quick bio on Tim Cook, who has returned to the stage: He joined Apple in 1998 and succeeded Steve Jobs as CEO of the company in August 2011. Since then, Cook has had to deal with a few disasters, including the incredibly buggy Apple Maps that came with the release of iOS 6. Under his regime, the company has allowed more access to the media and publicly addressed criticism of Apple. Though not publicly “out,” he’s considered one of the most powerful gay businessmen in the U.S. That hint of Southern twang comes from his home state of Alabama. Yes, you'll now be able to pay for stuff using your iPhone. The over-40 set is horrified. "What if I lose my phone!?"